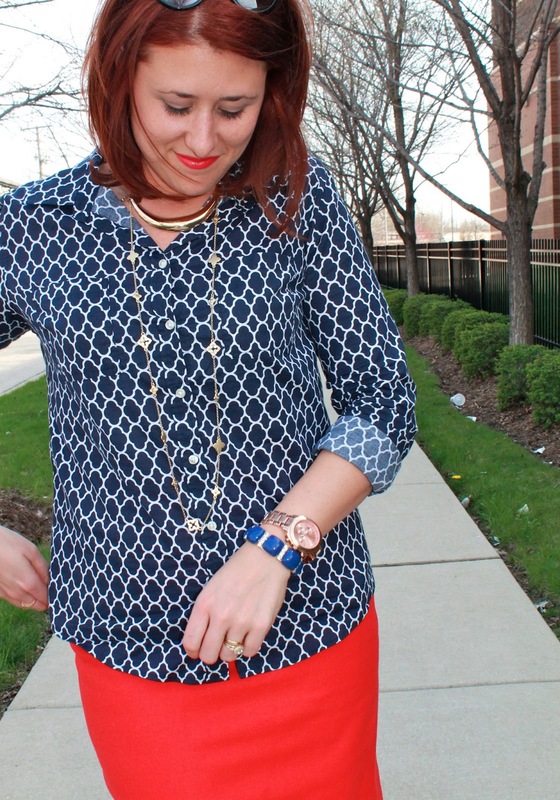 HOT PINK style: Back in the Chi and a Giveaway Announcment! I'm finally back From San Francisco where my husband and I had a blast and saw just about EVERYTHING there is to see. More on that later. Also, stay tuned for my first giveaway ever later this week! I'm partnering with Silver Linings Shop to give one lucky reader one of these beautiful red flower bud necklaces that I'm sure you have been seeing pop up everywhere lately! I'm loving mine so much I can't wait to show you how I styled mine! It's been a late night getting home from traveling so I'll leave you with this work look from before I left.